An Italian company this week is unveiling an unmanned aerial vehicle -- called Damselfly -- that can hover like a helicopter but can also fly like an aircraft, making it perfect, the company says, for "urban canyons." Boeing officially debuted the technologically advanced and environmentally progressive 787 Dreamliner in a celebration attended by employees, airline customers, supplier partners and government and community officials. The world's first mostly composite commercial airplane will use 20 percent less fuel per passenger than similarly sized airplanes, produce fewer carbon emissions, and will have quieter takeoffs and landings. A total of six airplanes will be included in the flight test program, which will conclude in May 2008 with the certification of the airplane followed shortly by the first delivery of a 787 to ANA. If Boeing can stay on schedule, it will eat Airbus's lunch. Smart Travel Asia compares the two planes. 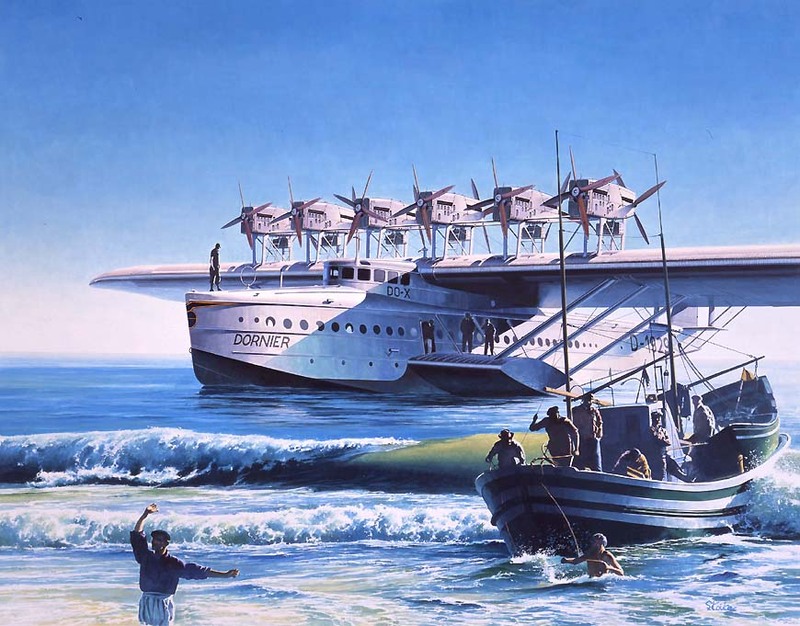 The Dornier Do-X flying boat (1929), with 12 engines and three levels, was an early attempt at a large passenger aircraft. If researchers can unlock the secrets of bat flight, it could have wide-reaching implications, according to Air Force and Brown officials. They say the project has the potential to revolutionize aircraft design and could lead to the creation of smaller, more efficient military air vehicles that can maneuver in tight spaces as well as gather intelligence and airlift supplies through forbidding terrain. Check out the Havoc Heli. AgustaWestland has flown the first test aircraft built specifically for the Lockheed Martin VH-71 US presidential helicopter programme. The aircraft made a 40min flight on 3 July from the company's facility in Yeovil, UK. ... the VH-71 team has recommended production of 23 new Increment 2 helicopters. There are hints the Air Force is at least considering deploying the (apparently incredibly versatile) F-22s to Iraq to search for IEDs. In January, USAF General Ronald Keys said: "We're looking for what can sop up intelligence, reconnaissance and surveillance [ISR] in Iraq and Afghanistan. Is the investment [of sending the F-22] worth it? Is it a good idea or just an attractive idea? Will it complicate the air component commander's problems for no gain?" But, in an article in Aviation Week, he said: "Using unmanned aerial vehicles (UAVs) and pod-equipped combat jets to find improvised explosive devices (IEDs) is often a misuse of time and resources." So, hopefully, the F-22s will stay out of the skies over Iraq, at risk of being shot down by some exotic missile supplied by Iran. Apparently there's a strong desire to use the plane for something other than being prepared for the next Cold War incident between major world powers, to show we're getting immediate payback for the $ expended to build 131 of these babies. Noah Shachman @ Danger Room has picked up on Murdoc's scoffing at all the justifications for the incredibly expensive but wonderfully exotic F-22. Meanwhile, AFP reports Russia is selling 31-E Foxhounds to Syria, which could be back-door funded by Iran and eventually end up in Iran. 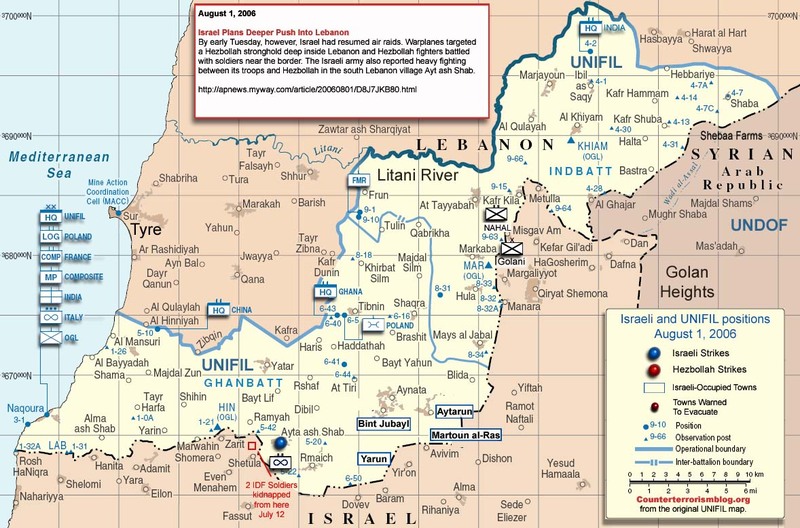 Will this be used to justify selling F-22s to Israel? How long would Iran's nuclear facilities last after that? Defense Update has a Paris Airshow Report Blog. "Our team will be reporting news and updates from the flight line, conferences and exhibition booths. You are welcome to email news, comments and photos for publication to: tamir.eshel@gmail.com"
Those following the Osprey should find the Bell-August BA609 interesting. Boeing is offering the Navy what one Pentagon source calls a 'tempting' deal for an all-time-low flyaway price of $49.9 million for new F/A-18E/F Super Hornets. The cost is guaranteed for a third multi-year buy of 170 aircraft, but this is nearly double the Navy's stated commitment for 92 more. Still, the deal 'is going to be pretty tough for the Navy to turn down,' says a Pentagon official. Even the Pentagon can't resist a good sale. But, with money being somewhat tight, orders for JSFs might have be be trimmed to pick up this deal, making the JSF cost per appear even higher. As noted in an A-C-E post yesterday, we've already got 131 F-22s on order. years of visionary design, rigorous testing and innovative manufacturing." completed final assembly at the Lockheed Martin facility in Marietta, Ga.
a rate of approximately one every six weeks. As if that's not enough, Murdoc has found an article stating the F-22 can be the most expensive WiFi hotspot known to man. It's like having a fuel dragster in your driveway. When and if you need it, you've got it. Speaking of exotic aircraft, NS @ Danger Room has heard rumors of Lockheed developing a SR-72 capable of Mach 6.